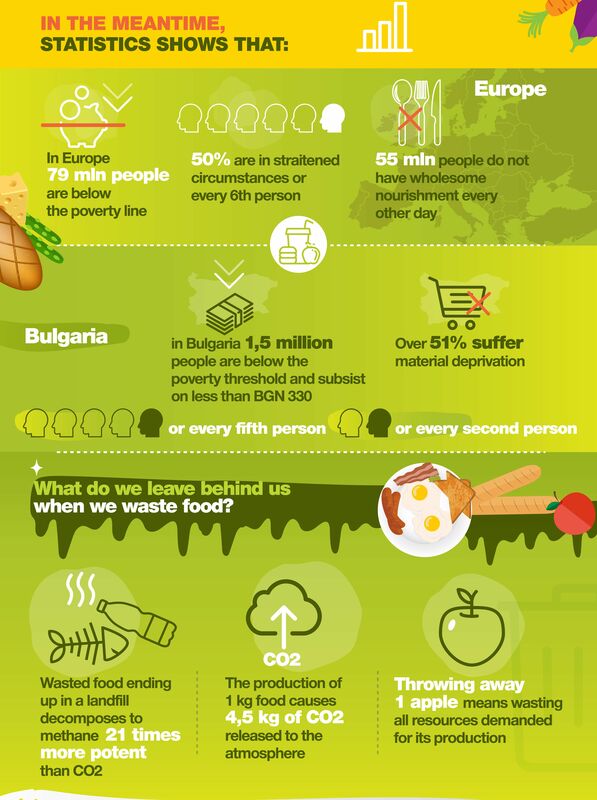 Around 90 million tons of edible food are wasted each year in the EU. To help you visualize – this the equivalent of every EU citizen throwing away 115 kilograms of food – enough to feed 200 million people. At the same time, statistics show that 79 million people in Europe live below the poverty line and 55 million cannot afford to eat a proper meal every other day. This is not only a huge waste of money, but has a significant negative impact on the environment as well. We are literally dying of thirst, while drowning in the ocean! This imbalance is even more striking in Bulgaria, where every 5-th family lives in deprivation and 1.5 million people have to survive with less than 170 euro/month. Hunger is literally a daily companion for one of every two Bulgarians. 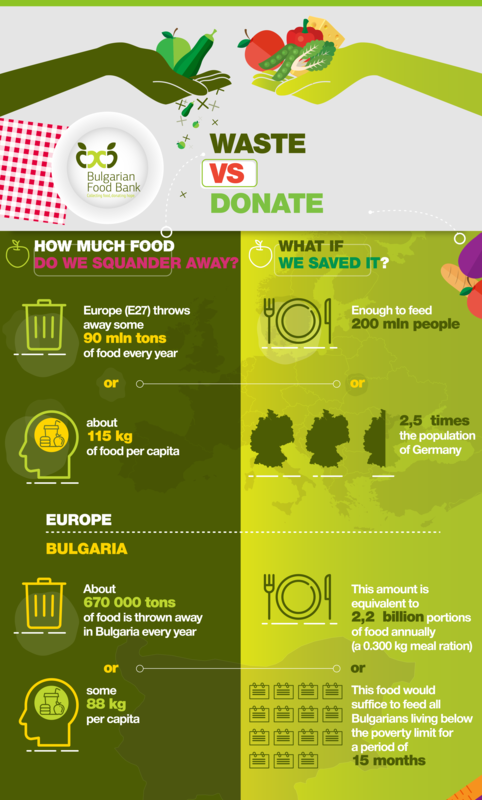 At the same time 670 000 tons of edible food is thrown away yearly. 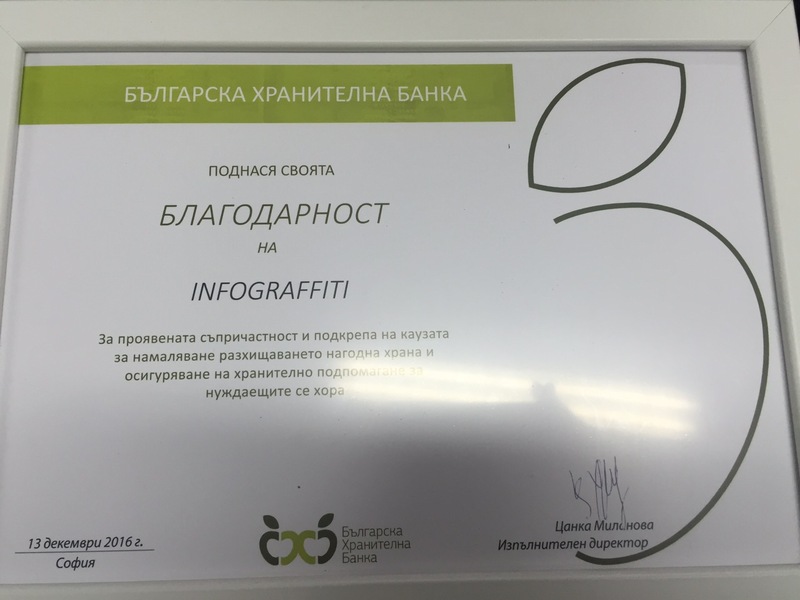 The Bulgarian Food Bank (BFB) is the only organization of its kind that aims to bridge this gap and provide food for the most underprivileged members of the Bulgarian society – orphaned children, handicapped and former addicts. 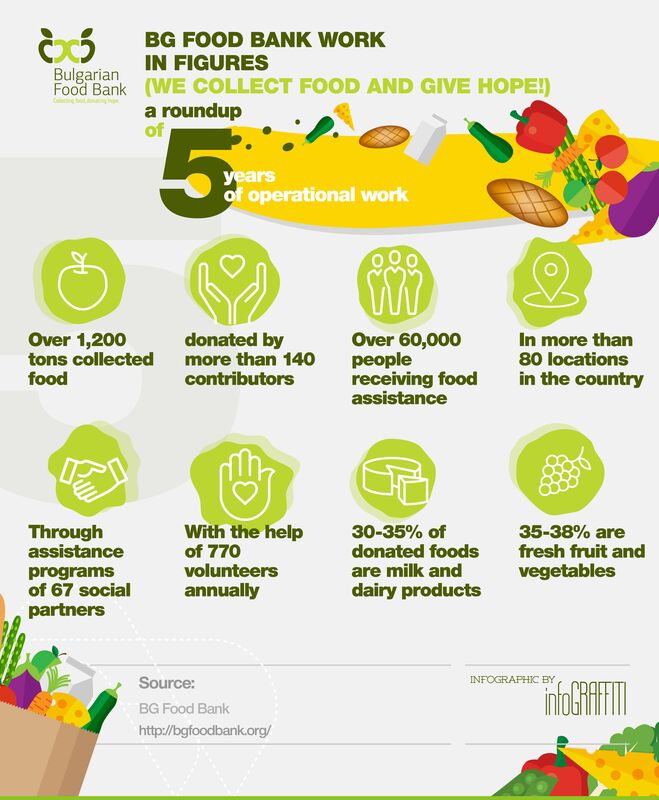 For its five years of operation, the Food Bank has salvaged over 1 200 tons of food, which was distributed to over 60 000 people in 80 locations across the country. Fresh fruit & vegetables (around 38%) and dairy products (around 35%) are the most donated foods. In 2016 the BFB has helped feed 35% more Bulgarians in need compared to 2015. Around a ton of food passes through the Food Bank’s storehouses daily and the amount is expected to at least double in the following months. 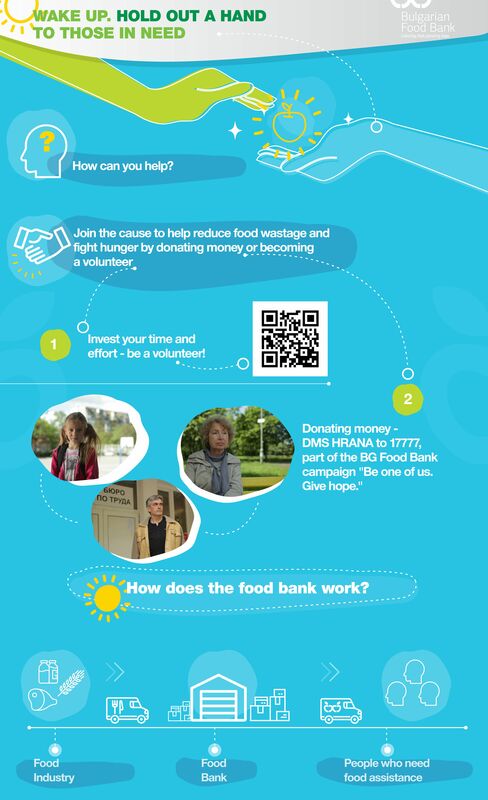 BFB gave Infograffiti the opportunity to describe its mission in series of infographics, presentations and roll-banners. Can Spirits production fuel economic growth in Romania?